Fraudsters have set their sights on these claims and are looking for new and inventive ways to get funds diverted to them. As the use of digital channels in the insurance industry becomes more prevalent, fraudsters turn to social engineering, malware and remote access attacks to fool unwitting victims. 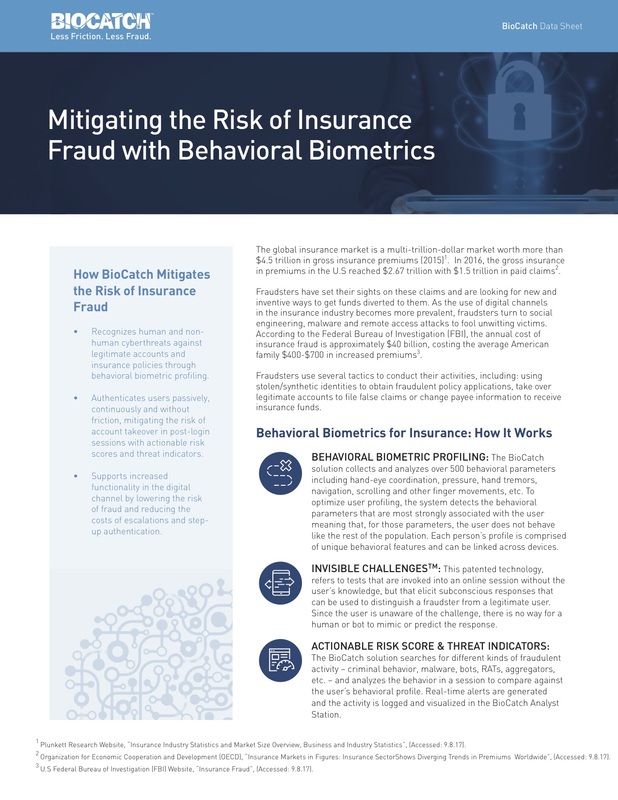 According to the Federal Bureau of Investigation (FBI), the annual cost of insurance fraud is approximately $40 billion, costing the average American family $400-$700 in increased premiums.